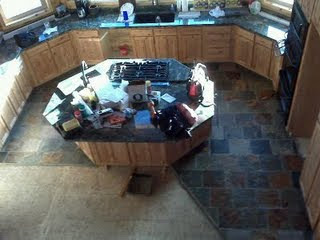 Slate tile in kitchen all sealed. 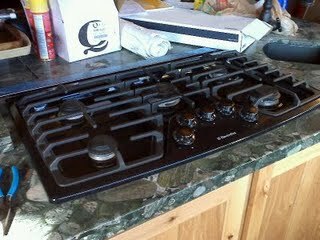 Ah... the Electrolux 36" cooktop... I love it.